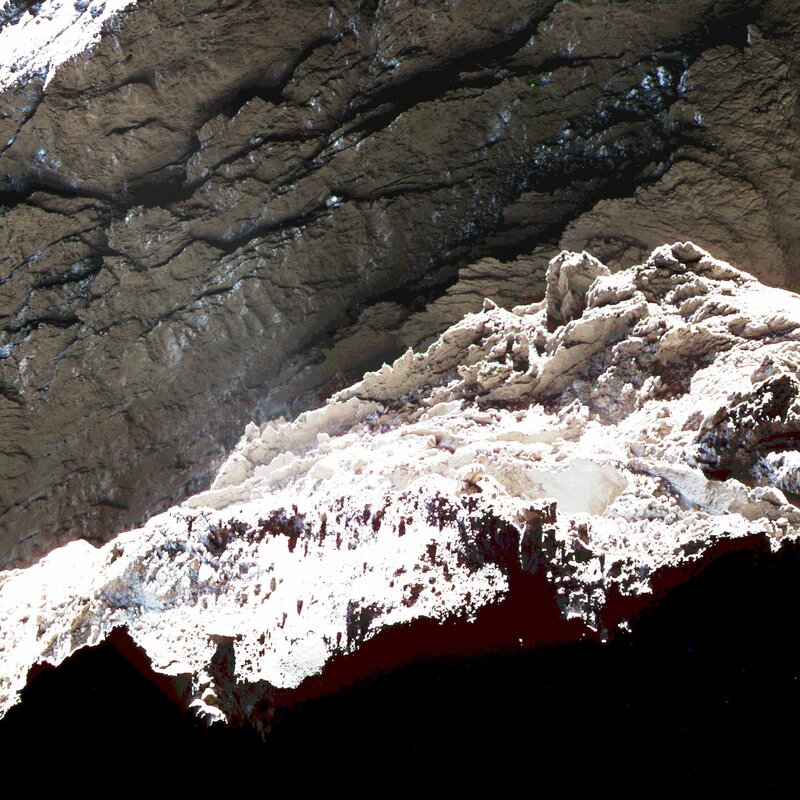 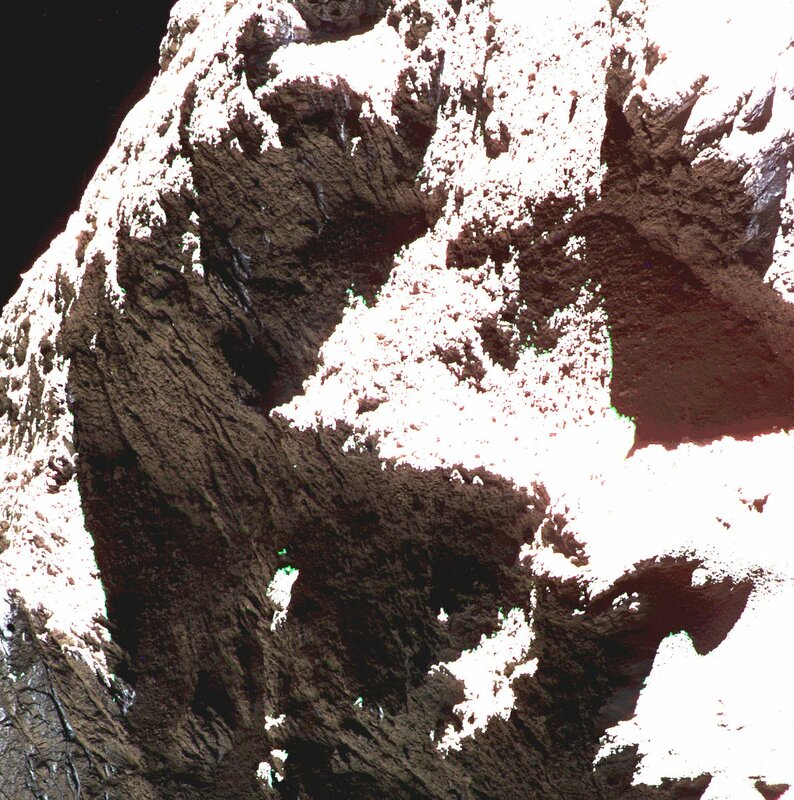 Some new colour versions of close-up images taken by the Rosetta spacecraft of the comet 67P/Churyumov–Gerasimenko were just posted on Twitter. 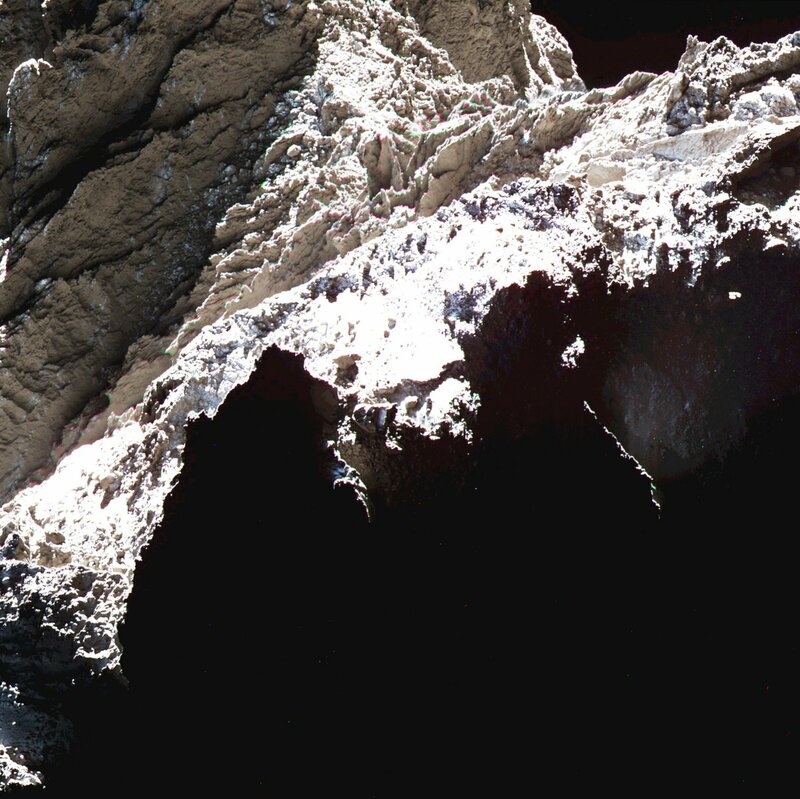 Most of the images from Rosetta have been in black & white, so these colour ones are a nice change and show incredible detail, including patches of water ice on the rocky surface. 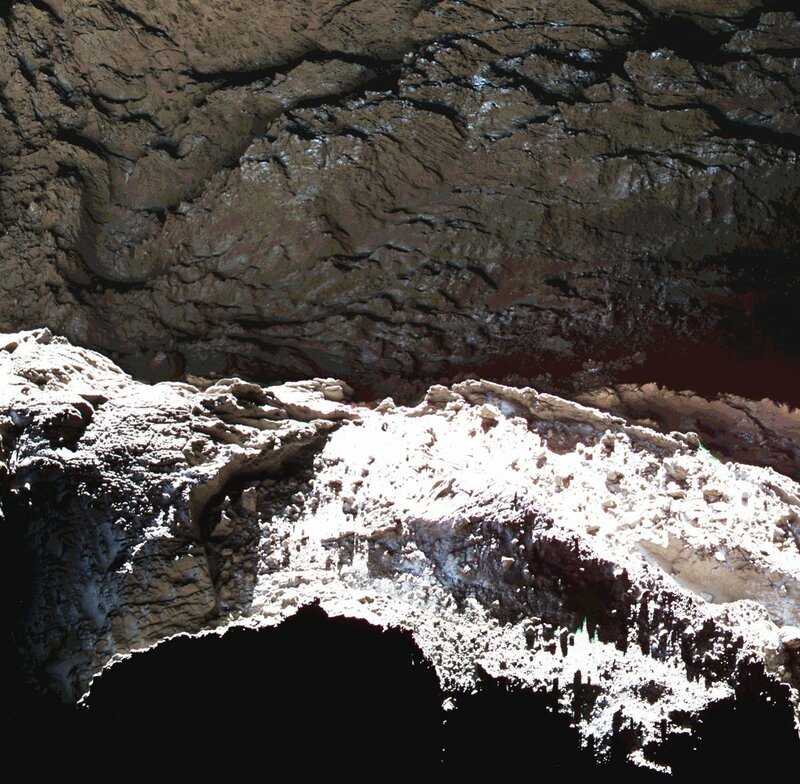 The Rosetta photos are the closest images ever taken of a comet. 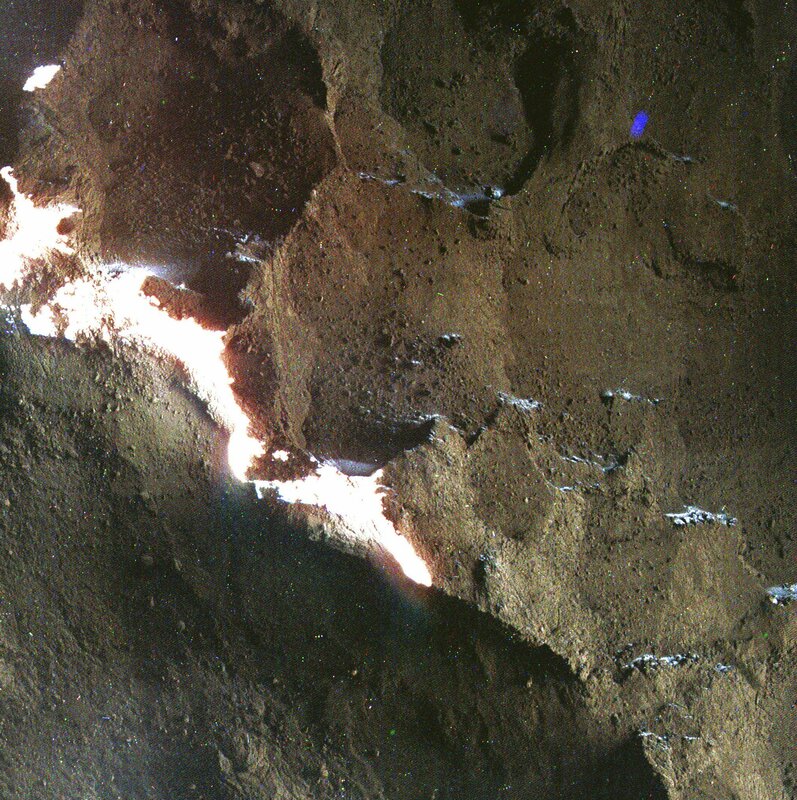 More of JR’s images are available on Twitter here. 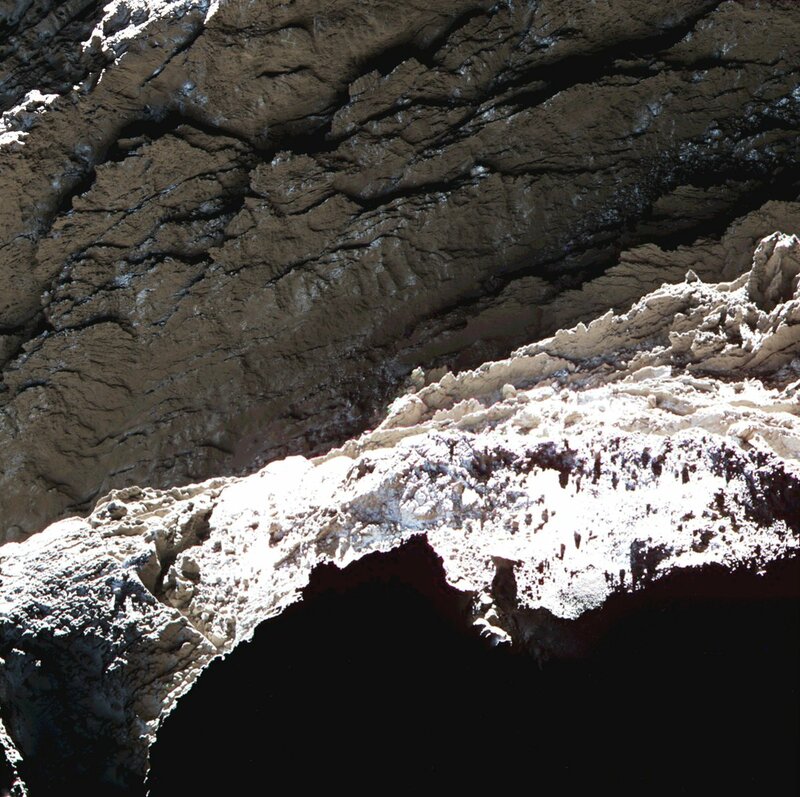 The Rosetta mission ended on September 30, 2016.
beautiful pictures – details are so good !